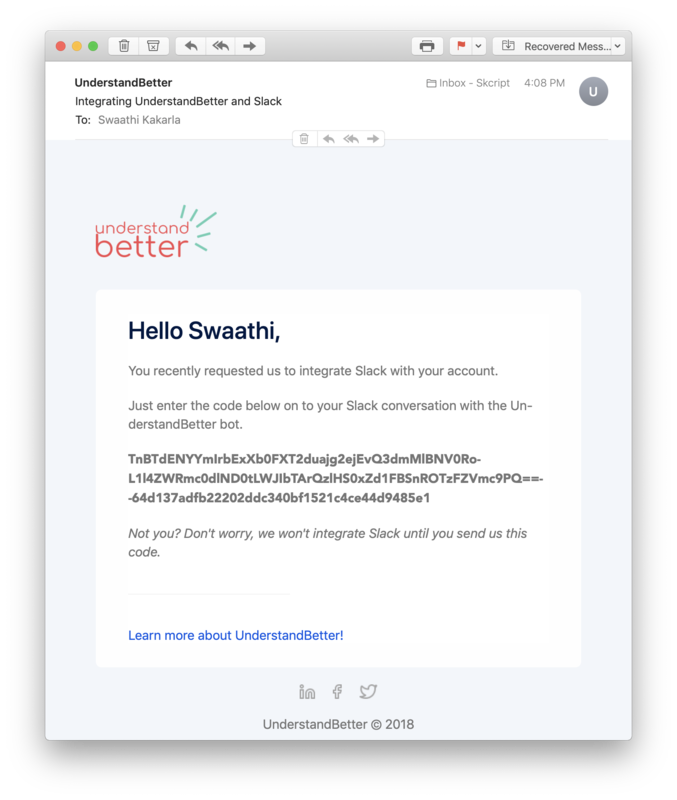 The Slack integration for UnderstandBetter allows your employees to answer survey questions right from the Slack app. 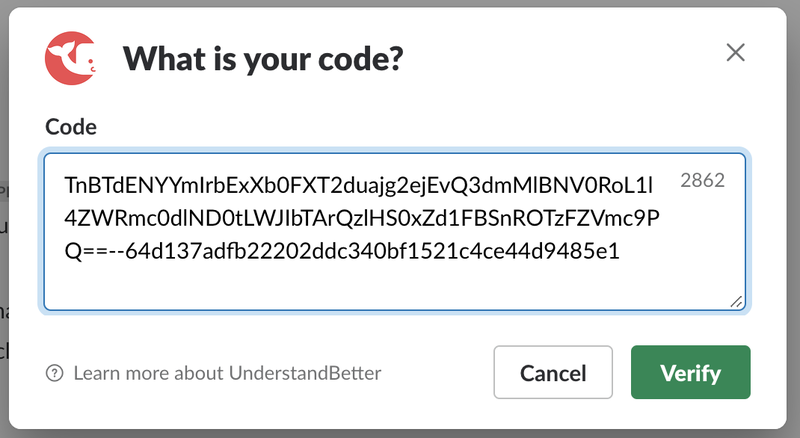 This integration is available indefinitely for all paid customers of UnderstandBetter. For all trial users, this integration will be active for as long as the trial period is. As an admin of your UnderstandBetter account, you will be able to configure the integration. Just head to the integrations tab on your left sidebar and click on the “Add To Slack” button. You will be redirected to the Slack OAuth page where you can configure the Slack workspace and channel you give us permission to access. You can revoke this permission at any time by visiting the Integrations page again. Once you choose the Slack workspace and channel, we post a message to your channel introducing your team to the UnderstandBetter bot. Your employees will then be able interact with the UnderstandBetter bot via Direct Messages. Employees get to choose if they receive their survey questions on Slack or email. If they choose Slack, here’s how the interaction looks like. Bam! The integration is now complete. Employees who have launched the integration will now receive their survey questions right on their Slack app. Here’s how it looks. You will see responses as usual on the web application. If at any point of time you wish to remove the integration, you can do so by visiting the Integrations page on your UnderstandBetter web application. Individual users can also stop receiving their survey questions on Slack by just typing “stop”. Once they remove the integration, survey questions will resume being sent to their email inbox.